I'm a 40-something wife and professional. I've been married since 1996. While my husband and I do not have human children, we do have a "feathered kid"--a cockatiel named Sullie, who you will hear about quite frequently if you friend me. You will also hear about The Dementors, aka my parents, church happenings, work drama and work comedy, The Wheezy Comedy Hour, and whatever other random thing comes into my head. I mostly write canon pairings from the HP universe, but I have dabbled in the Bones, Castle, Downton Abbey, Firefly, NCIS and Percy Jackson fandoms at various times. I like variety, so I write a lot of different characters and am always trying something new. 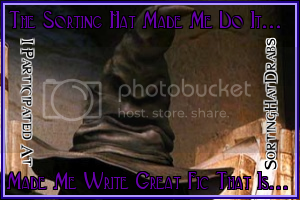 If you are just interested in fic, I share a fic journal with fbo66 and katwoman_68 called fics_by_mkf.